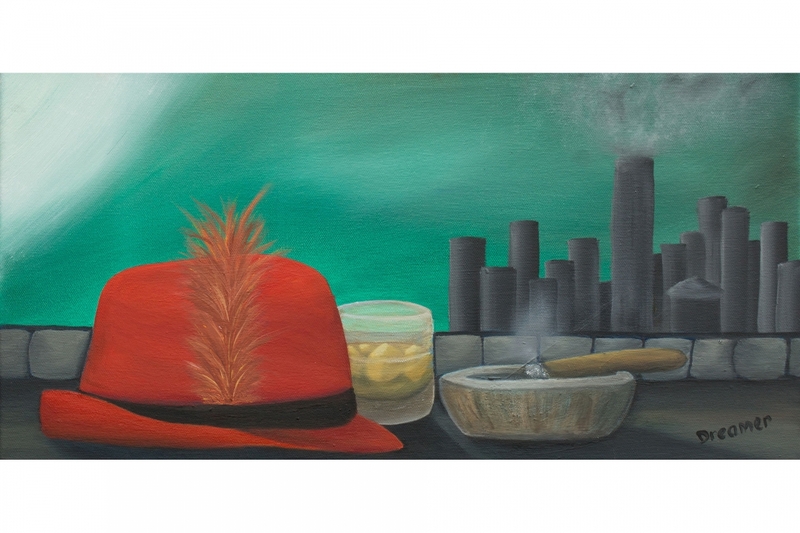 One of my paintings, Last Set, was inspired by Frank Sinatra. In talking to people at festivals that admired it, many asked who else I was going to paint? This one is not really about any particular person, but more of the style of entire Rat Pack (Dean, Frank, Sammy, Joey & Peter).